Automate, Streamline, Analyze & Predict! 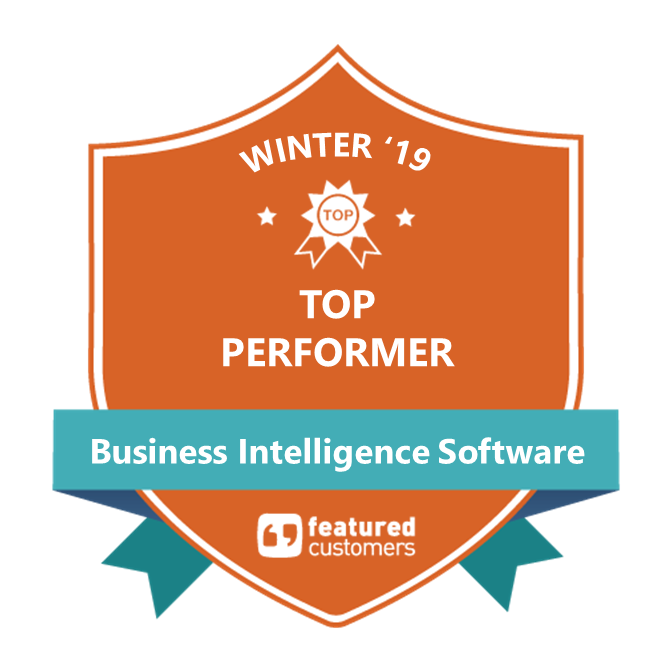 IntelliFront BI™ is a browser-based Data Analytics & Business Intelligence solution that saves you time and money by creating & sharing your Reports, KPIs & Dashboards in a single easy-to-use portal. Quickly create static & real-time reports in the browser-based admin module and easily share them with management & stakeholders in their secure user portal. Designed with on-premise implementation in mind, it comes with Active Directory Integration, Single Sign On & 2-Factor Authentication as standard. Coupled with its built-in Application Security, IntelliFront BI allows you to collaborate & share reports with external users without compromising your security policies. Integration with ChristianSteven's scheduling suite allows you to automate the export and delivery of reports in standard formats like PDF, CSV & XML to a variety of destinations like Email, Printer, FAX, Folder, Google Sheets, Google Drive, Sharepoint Dropbox, Slack & more. Take the pain out of user adoption by eliminating complexity, clutter and the need for detailed training and support. Create canvases to present the consolidated Reporting, KPI & Dashboard information how they want. See their documents & other reports in their repository. 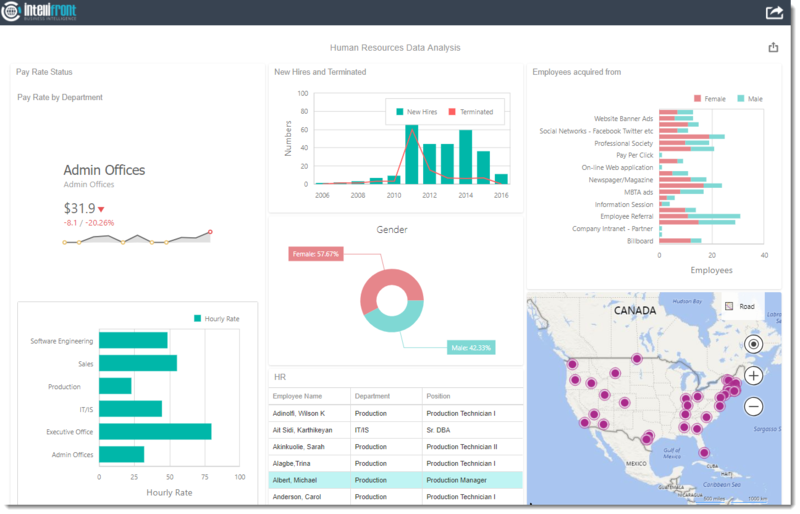 View & interact with reports from other sources like Crystal Reports, Microsoft SSRS and Power BI. Log on as many times and on as many devices as they wish. 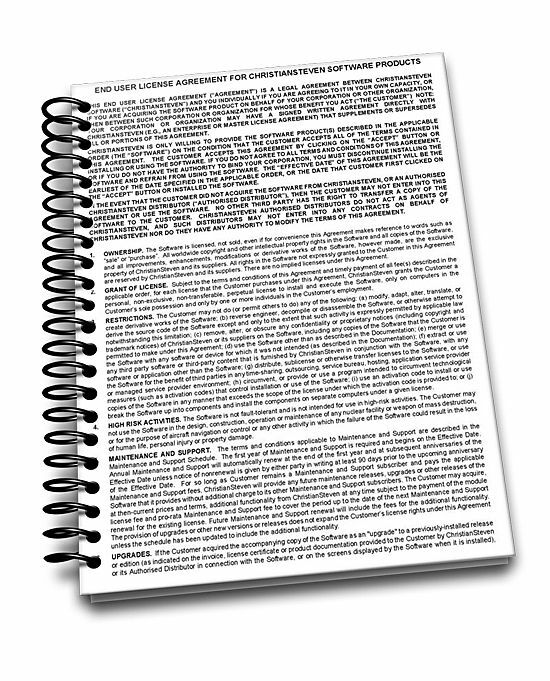 Export & share reports in standard formats e.g PDF, CSV, XML, & XLS. 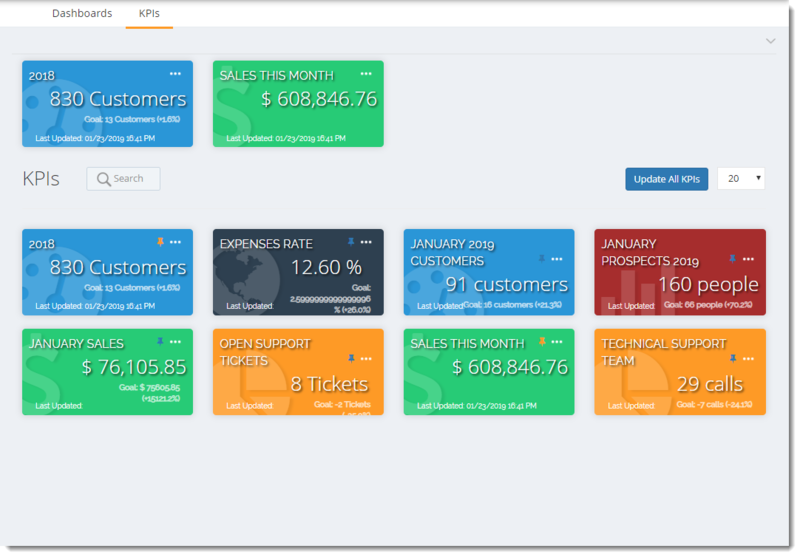 Your users will love the power of IntelliFront BI's elegance and simplicity! 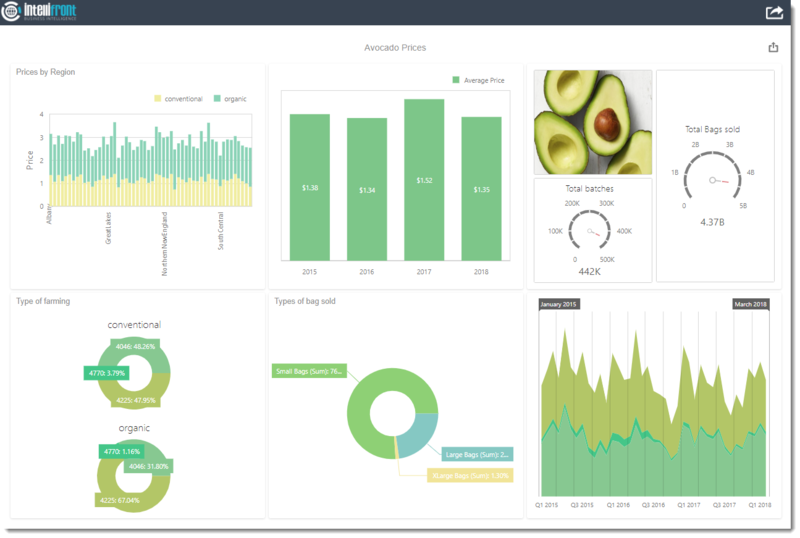 Gain fine-grained control over the Business Intelligence reports & dashboards you serve to your users. Create different security instances of the same report. Assign the same reports with different filters to different users. Use AD integration to pull in already existing users and groups. Set up user groups with both AD & non-AD users, allowing you to securely deliver reports & interactive BI dashboards inside and outside your organization with no additional licensing costs. Easily & quickly set colors and logos to match your business brand. Integrate with existing systems like Crystal Reports & Microsoft SSRS to self-serve your legacy reports to your IntelliFront BI users without the cost of upgrading those systems. You can automatically generate & deliver single or packs of reports on set days and set times. But why stop there? Event-based scheduling allows you to automate report distribution based on events in your database e.g database record has been created or modified. 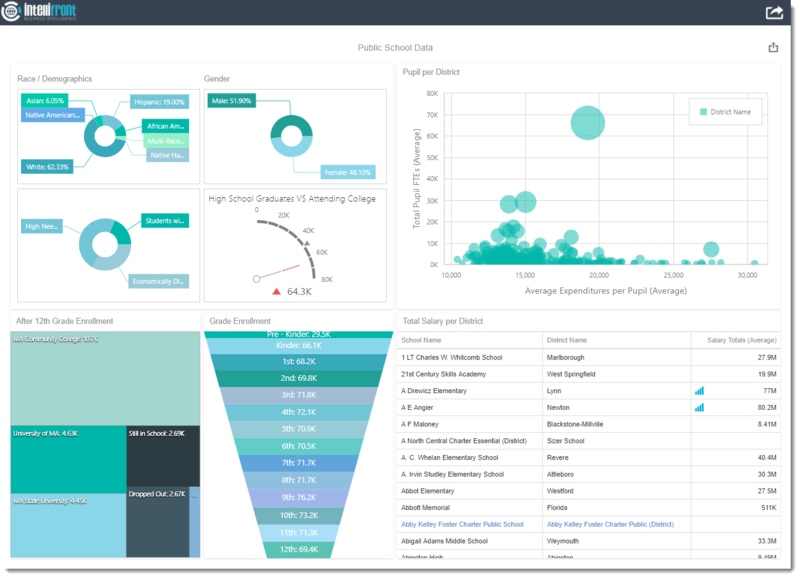 Bring advanced Data-Driven functionality to your Business Intelligence infrastructure! Use Data-Driven workflow processes to trawl through your database to find the parameter or filter values and then generate & deliver a unique report for each value. Use IntelliFront BI to manage your report distribution needs with greater effectiveness, speed, and efficiency. Workflows allow you to run any number of tasks before or after reports are generated. You can even create and execute workflows without including report tasks. For example, if a new record is created in one database you can modify a record in another database and/or send an email with the body text including values from the new record. Reliable delivery of business intelligence is great, but integrating that process with the rest of the enterprise is even better. 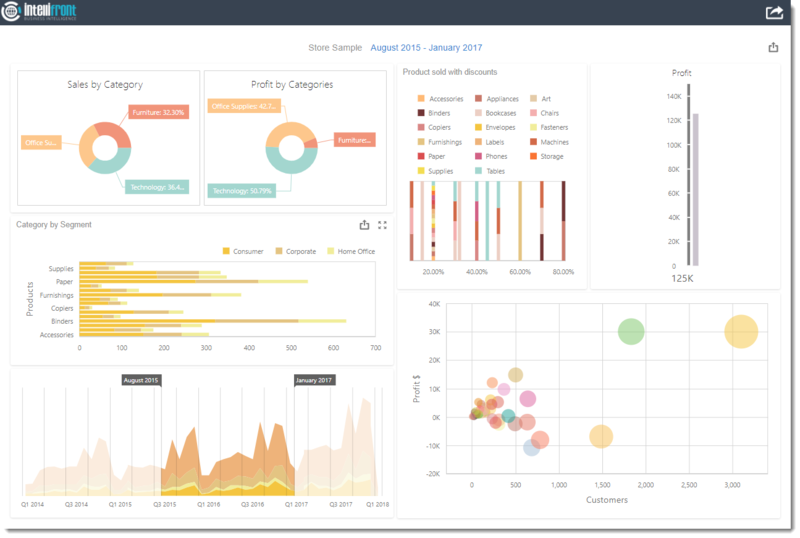 ChristianSteven's BI tools have always supported reporting, analytics, threshold monitoring, process automation, workflows and embedded data update capabilities as natural product extensions. 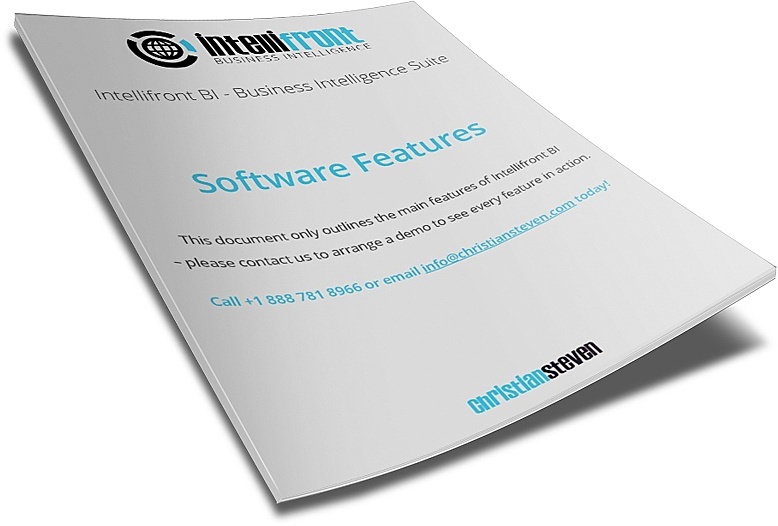 IntelliFront BI brings it all together in one simple, easy-to-use solution! Resizes to fit any space - intelligently!